The Sewol Ferry(세월호) bound to Jeju Island from Inchon capsized on 16 April 2014 carrying 476 passengers, the majority of them students from Danwon High School. It is still unclear why the ship capsized but when it happened, overloaded cargos fell down to the sea and the ferry lost its center of gravity. The ferry was carrying 2,142 tons of cargo with 762 tons of ballast water. According to the relevant regulation, it supposed carry 1,077 tons of cargo when it has 1565.8 tons of ballast water. It was later found that the ferry was renovated to carry more cargos for financial benefits. During the rescue operation, there was an overall lack of coordination between the Coast Guard, the Navy, and other support groups on the ground. As of 11 June 2014, the disaster caused the death of 304 people including 10 missing people. The rescue operation is ongoing. Two divers and five rescuers lost their lives during the rescue operation. The captain left the ferry before the passengers while ordering them to ‘stay inside the ferry’. Also, he did not report the accident immediately. Instead of reporting the incident to the coast guard, he reported it to the National Intelligence Service. Why did he make such orders to the passengers? Why did he not report the accident immediately? Coast Guard rescued the captain of the ship and its staffs earlier than any other passengers. Also, they did not order people to leave the ferry and did not enter the ferry to rescue people even though they knew that passengers were still inside. Why did the Coast Guard not act urgently to save the people sinking? The police did not immediately arrest the captain and even after the arrest, the police took the captain, a suspect, to his own house instead of detaining him at the police station. This created a huge controversy in regards to the independence of the investigation. During the rescue operation, there have been inconsistencies in reporting the actual situation on the ground and major discrepancies between the Coast guard rescue effort report versus the Government briefing report. At the beginning, the Government announced that most passengers were rescued and then it changed its position after few hours. It is not verified where President Park Geun-hye was for 7 hours during the so-called ‘golden hour’. The “golden hour” is a medical term referring to the time in which rescue personnel need to start treating a patient to give them the best chance of survival. At the beginning of the incident, several public broadcasting cooperations reported that all passengers were rescued, and other media just copied these false reports, which created a huge confusion and false expectation among the general public. Also, the Government and the Navy reported that they were providing all possible rescue personnel and equipment for the rescue operation and the media just copied their announcement without checking. Later, during the parliamentarian investigation, it was found that the Government’s report on the rescue operation is quite different from the situation on the ground. Former editor-in-chief of the Korean Broadcasting System (KBS) disclosed the President Office’s control of broadcasters and resigned from his position1. 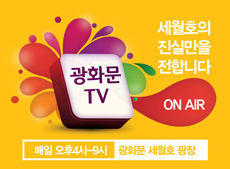 To protest against the President Office’s control of the media, KBS staff members went on a strike and 5,623 media workers issued a statement expressing their regret on how they reported on the Sewol Ferry Tragedy and apologized that they did not resist against the authorities when they tried to manipulate the media. Irregular Workers 19 of the 33 crew staffs on the Sewol Ferry were irregular workers – including the captain. The wage of the captain was only 60~70% of other captains. Irregular workers with temporary employment contracts and no job security causes poor working conditions and the oversight of safety awareness. The deregulation of South Korea’s shipping industry When the Sewol tragedy happened, it was already 21 years old. It was imported from Japan when it was 18 years old. The deregulation of South Korea’s shipping industry under the former President Lee Myung-bak (2008-2013) resulted in a rise of unsafe practices. Deregulation extended ferry service periods from 20 to 30 years, allowing older ships such as the Sewol to continue operating2. Profits vs Safety The Sewol ferry was illegally renovated to carry extra illegal cargos in order to bring in higher profits. For one year, the Sewol Ferry had carried excess cargo on its Incheon-Jeju route 139 times, resulting in almost US$3 million in profit for the owner, Cheonghaejin Marine Company. However, the Sewol Ferry passed the Government’s safety check instead of being regulated. It is mainly because that the Government let the Shipping Association who is the main stakeholder do self-imposed control of the safety check under the name of deregulation. No enforcement of safety regulations is not only confined to the shipping industry but can also be seen in other aspects of South Korean society. Victims’ families have continuously called to enact a special law for a transparent and independent criminal investigation and indictment. The special law should also include strong measures to prevent further tragedies like the Sewol Ferry tragedy. Within two months, Sewol victims’ families collected around 4 million signature petitions in support of their demands, when the total population of South Korea is 50 million people. The Government and the ruling party are refusing to accept the demands under the pretext that we did not have precedent in the country. In South Korea, the prosecutors’ office has an authority to indictment. Enact a special law guaranteeing a transparent and independent criminal investigation and indictment. Take all possible measures to avoid similar tragedies in the future. These new safety measures must be clearly communicated with the public. The media to be independent of Government influence. Protect whistle blowers. People should have the right to voice their doubts in regards to the causes of the tragedy and the failure of the rescue operation without the threat of being legally prosecuted. 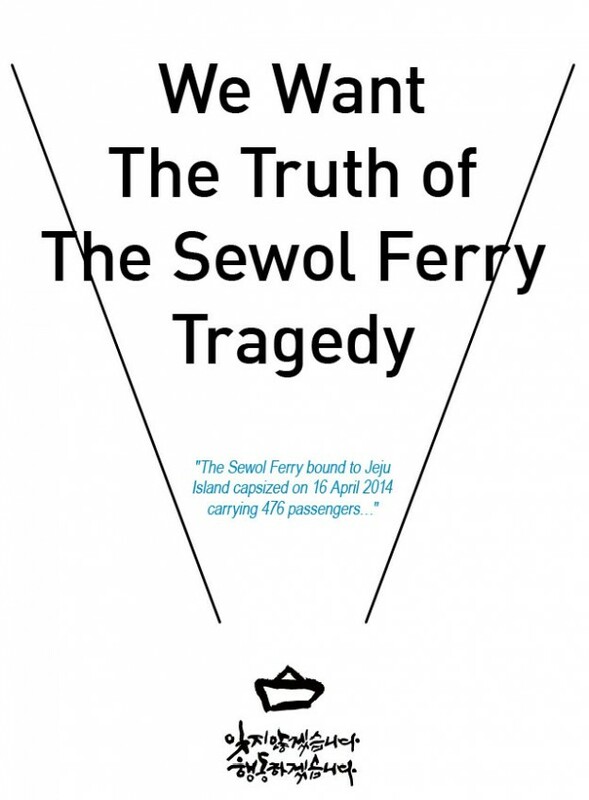 English, 자료실 | tag: english, flyer, sewol | 2014/08/17 by english.